Amy from First Drop Wines' Home of the Brave Wine & Tapas Room has reached an all time high with these little balls of goodness. 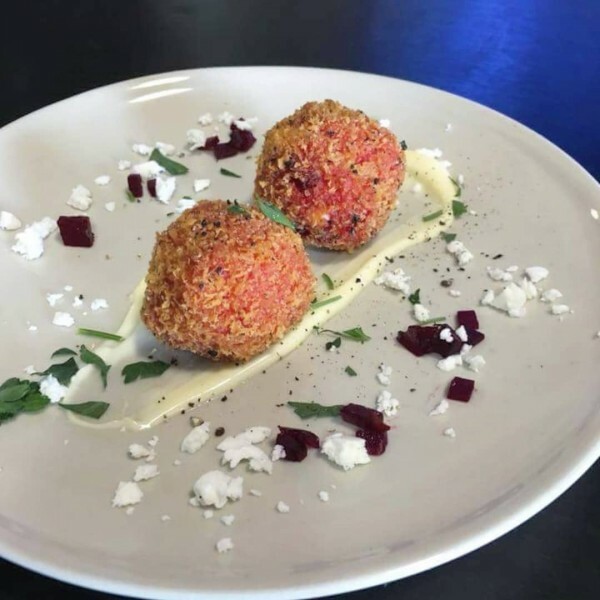 The vegetarian friendly beetroot and feta arancini balls are the perfect match with one of their 100% vegan wines. With plenty of other options on the menu there is something to keep everyone happy. Make plans for lunch at The Home of the Brave and explore their amazing menu. Be sure to keep an eye out for some ‘cini action at First Drop Wines in April!